Benefits of using child theme are described in details here. 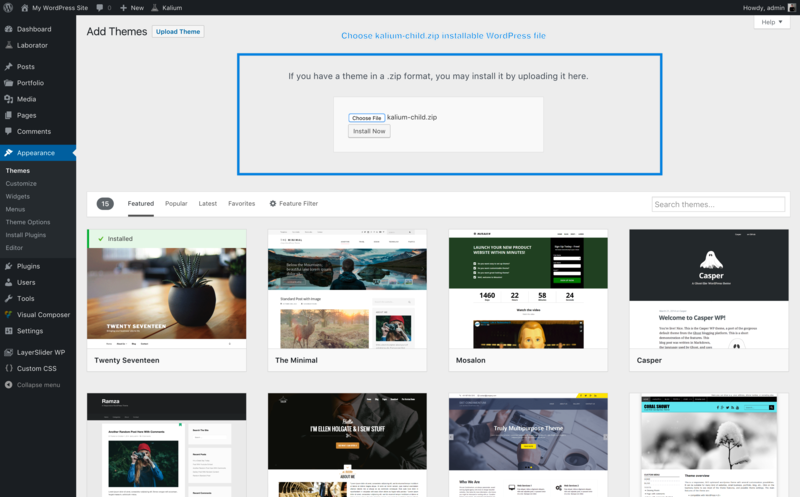 In this article you will learn how to upload and install child theme. Child theme can be found in All files & documentation file after you download it from ThemeForest. 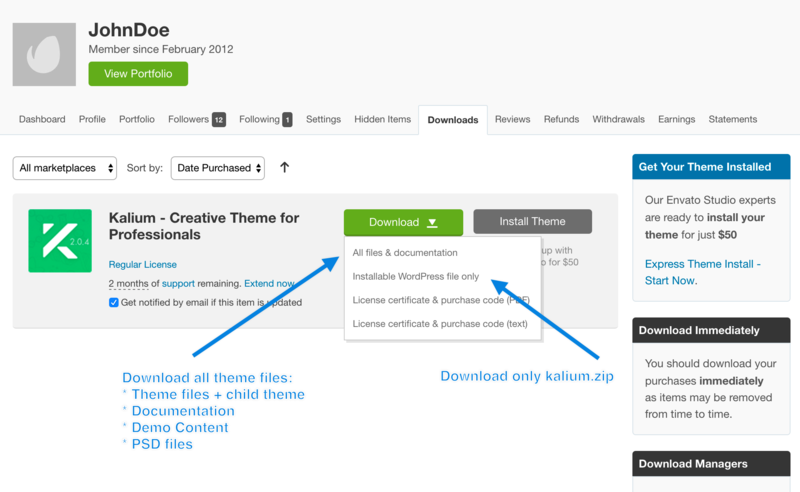 The process is the same as installing parent theme except in this case you need to upload kalium-child.zip file. Child theme will not work if you haven’t installed Kalium main theme first! 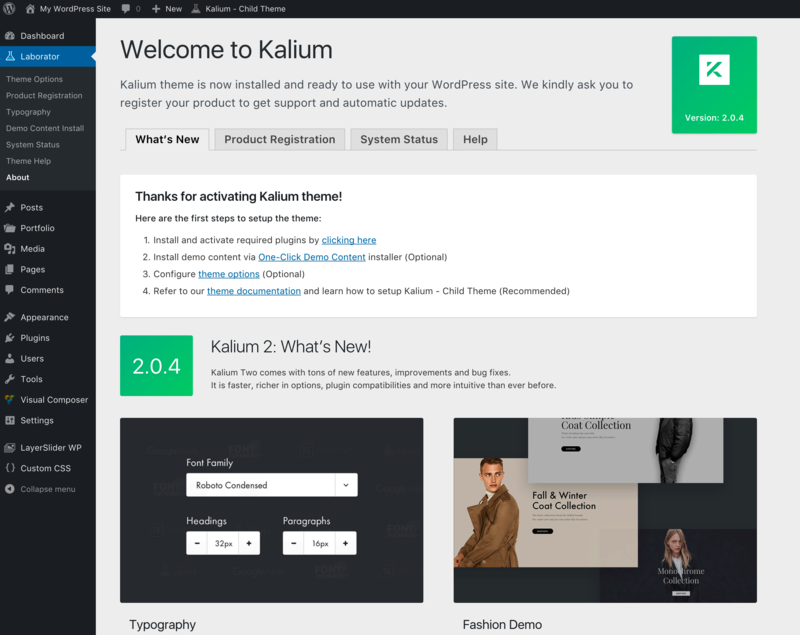 Return to the original article to read more about other steps after activating Kalium theme.